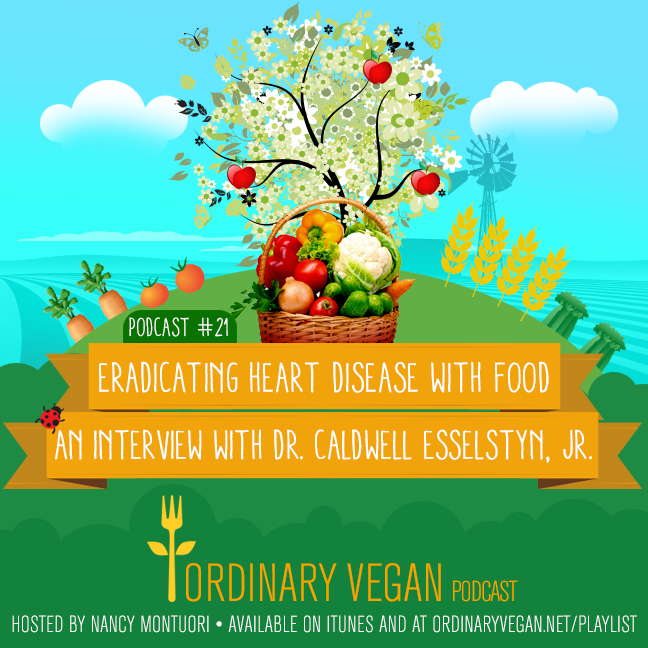 Podcast #21 - Eradicating Heart Disease With Dr. Caldwell Esselstyn, Jr.
“The truth be known coronary artery disease is a toothless paper tiger that need never exist and if it does exist it need never progress. it is never going to come through a procedure or an operation …. Heart disease is still America's #1 killer. What if heart disease could be eradicated? Today I delve deep with the one and only Dr. Caldwell Esselstyn, Jr. about the truth behind heart disease. Dr. Esselstyn has single-handedly helped thousands of people recover from heart disease with his New York Times bestselling book called “Prevent and Reverse Heart Disease: The Revolutionary, Scientifically Proven, Nutrition-Based Cure” which teaches people how nutrition can treat heart disease. Individuals who followed Dr. Esselstyn's program, including a number of people who had been told by their cardiologists that they had less that they had less than a year to live because of their heart disease. Within months of starting Dr. Esselstyn's program these patients began to improve dramatically, and many years later, they remain free of heart symptoms. Not only that, Dr. Esselstyn won a gold medal in the Olympics for rowing, and in 1968 he was awarded the bronze star for serving as an army surgeon in Vietnam. For all his accolades, he is one of the most approachable, caring, compassionate human beings I have ever encountered, and his number one goal in life is to save lives. Please share this podcast with anyone who has heart disease or has a family history of heart disease so you can save lives too. You can learn more about Dr. Esselstyn and his program here. If you need help getting started on a plant-based diet – join my plant-based course Healthy Eating and Living With Plants. This program will empower you with the knowledge you need to start and maintain a plant-based diet. Thanks for joining us today. If you have any questions – email me at questions@ordinaryvegan.net. Don't miss any of Ordinary Vegan's free recipes or podcasts by signing up here.